Dr. Gruelle believes the Confucius quote, “Choose a job you love, and you will never work a day in your life” truly applies to being an orthodontist. 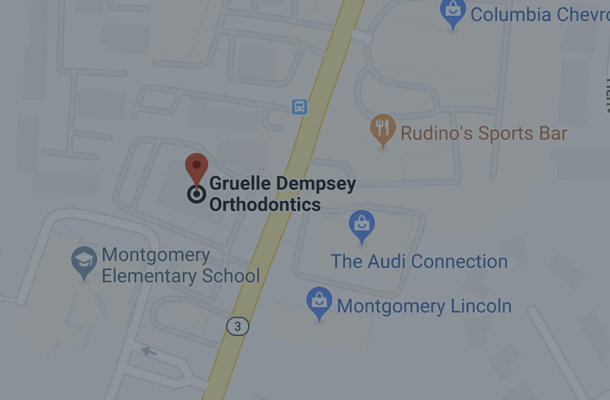 There is no mistaking Dr. Gruelle's signature greeting and warm smile. His personality is as warm as his clinical skills are strong. “Orthodontics was the perfect choice for me. Creating smiles that change people’s lives is our mission. At the practice of Drs. 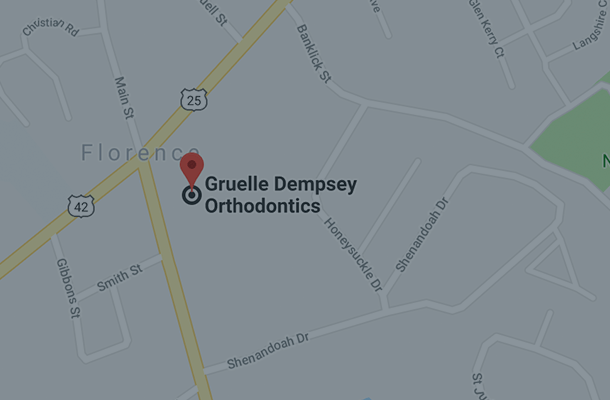 Terry Gruelle and Jerrod Dempsey, we believe that orthodontics should be a fun and rewarding experience. We’ve designed our five offices in Florence and Fort Thomas in northern Kentucky, and Montgomery, Springdale and Anderson in Cincinnati, around our patients. We offer several different treatment options and strive to make our patients and their families feel at home and welcome each time they visit our office. What Dr. Dempsey Loves about orthodontics: "I cherish the lasting relationships built between myself, my patients, and their families throughout treatment. It is truly a joy to come to work every day and interact with people that I consider friends." 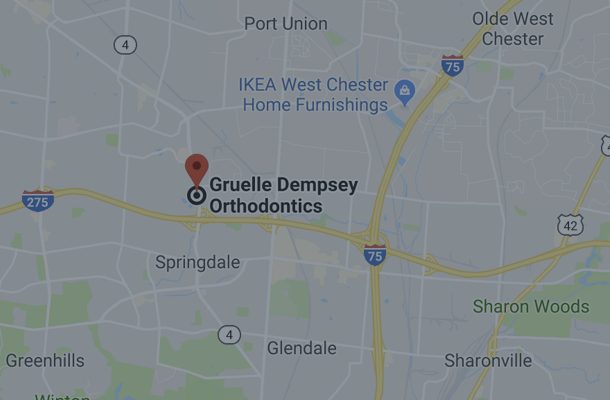 Dr. Gruelle and Dr. Dempsey have treated more than 2,700 patients using Invisalign, placing them in the top 5 providers Worldwide and, naturally, the top providers in Kentucky, Ohio, and Indiana. 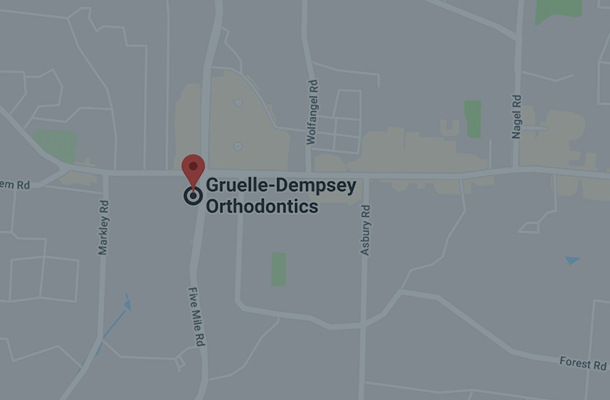 At Gruelle Dempsey Orthodontics, you’ll find a caring staff, a warm, inviting environment, and doctors with decades of experience. I was a grown adult when I finally decided to fix my teeth. I didn’t want to look or feel like a teenager when I looked in the mirror. I was so glad that I chose Invisalign because my friends and family couldn’t even tell when I had them on. Within the two years that I wore Invisalign, I went to weddings, birthday parties, Christmas parties, retirement parties and there were a lot of pictures taken of me and my family and friends. I didn’t have to throw one picture away because of my invisible braces. The good thing is when people would see me smile, they saw me, not any metal braces. We could not be any happier for your office made us feel so comfortable. You made the financial arrangements so very, very, very Flexible. Thanks to your employees….things just do not get any better. They were saints to Ryan. Thank you for such a wonderful result. Ryan looks great and feels 110% better about himself. I recently finished my Invisalign braces and was amazed at how perfect my teeth turned out. I couldn’t have asked for more and the staff is so friendly, they seem to know everyone on a personal level. SO Excited! 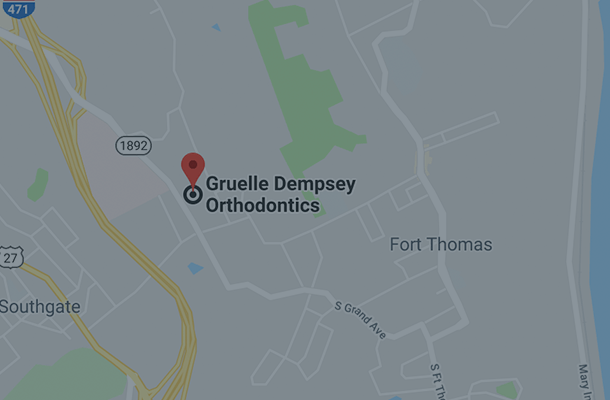 Gruelle & Dempsey Orthodontist opens a 5th office in ANDERSON at 1163 Fehl Lane (formerly Wolterman). We LOVE this office & live in Anderson & have been driving to Ft. Thomas or Montgomery for appts! Their rates are fantastic, they are super friendly, hardly ever have wait-time (they run on-time & don't overbook) & they are really conscious in scheduling the right treatment time window for optimal results!Do yourself & your kids a favor & get a free assessment from them before you get braces or Invisalign elsewhere! Having worked in customer service at some point in my life, I'm totally aware of the importance of excellent service. Excellent service is part of our being and comes through in your personality without trying. An orthodontist is what he is, a fine honorable human being is who he is, and is certainly carried over into his staff. Thank you for your wisdom Dr. Gruelle!! The financial arrangements with your office were reasonable and very helpful. The facilities are so open and inviting. Office visits are so enjoyable for I got to know everyone with their smiling faces. I know that my own children will see you when it is time. Dr. G has been an inspiration to me personally and professionally. Because of his constant support I am finishing my last year in orthodontic residency. I know of 2 other orthodontic residents and countless dentists, hygienists and dental assistants that he has encouraged, mentored, and allowed to shadow and work with him. He has a passion to teach, and the ability to inspire others and to challenge them to leave their comfort zone. I look forward to the years ahead. Thank you so much for all your help. We’ve finally found an orthodontist that we felt comfortable with. We want to let you know how much we appreciate your willingness to fully explain the treatment options so that we could make an informed decision. Jim, Doris, Jimmy and Nathan H.
I had concerns that my ‘teenage’ son would not be a good Invisalign candidate. Thank you for having confidence in him. Because of your encouragement that Matt should take ownership of his treatment, he obtained an outstanding result. Matt would not have agreed to treatment if Invisalign were not an option.